“MTB" refers to the "plated disc" which is a steel plate used as the closure member. "H" refers to the handwheel operation. "NR" refers to non-rising stem design. 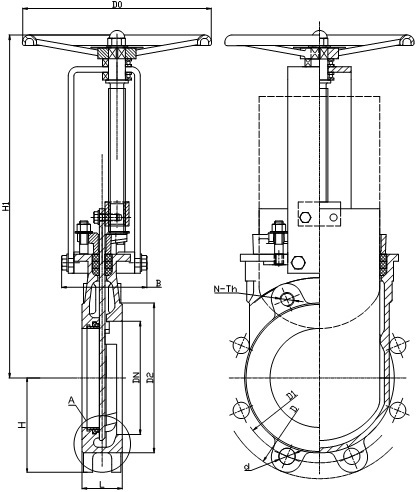 The G.A drawing of MTB-HNR series knife gate valve, including alternative seating designs: metal seating & soft seating(X.F). 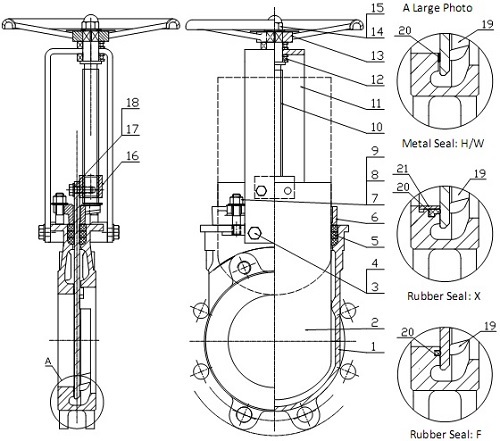 The outline drawing of MTB-HNR series knife gate valve.